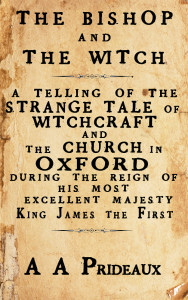 Bishop John Prideaux is the star of A A Prideaux’s novel, The Bishop and The Witch. As such, his life and history is dramatised in that novel and subsequent novels in the series. Here I attach the Authors Epilogue to the book and the Bibliography. I began researching my family history many years ago. During that research I came across John Prideaux, a Stowford blood ancestor who ultimately became the Bishop of Worcester. He was involved in so many significant events during his busy life that he was easy to find in many articles, books and archives. Apart from the biography list, there is no central point where his life and achievements are described in any detail. I eventually managed to collect together all the references, facts and figures that I found. Initially, I wanted to write a factual and historical book, but found it to be dry and unemotional. I wish I could write about history in the style of one of my heroes. A. L. Rowse, but sadly I cannot. So my plans changed and I decided to put my spin on the life John may have had between the known facts, in an effort to bring him to life. I have so much research on JPx (as I refer to him in my notes) that I now intend to write a series of books about him and hopefully each one will not take the eight years it has taken to bring this one together. I have enough research for two or three further books and so that could take me…. a while. 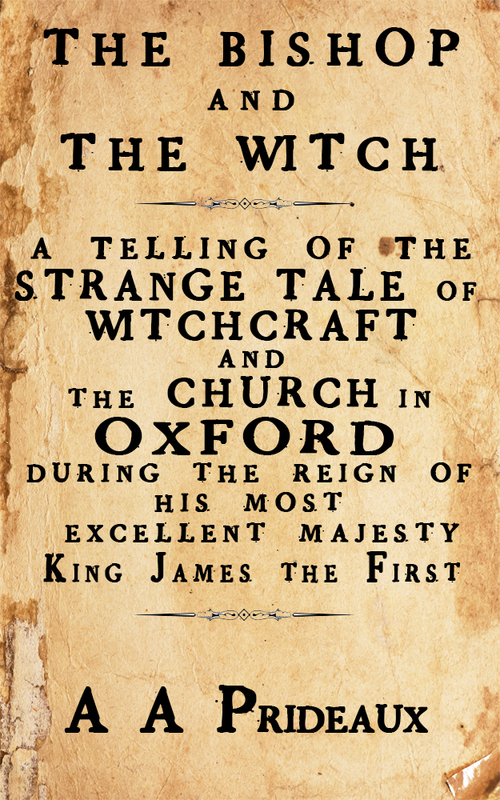 I researched the history of Oxford, Exeter College, North Moreton and all of the characters featured in the story. I tried to ensure that each person could have been in the right place at the right time. And I think generally that they were. I am sure you will tell me if I am wrong. I really don’t mind if you do. I visited Worcester Cathedral, Bredon, Harford, Stowford, Salisbury and Oxford while I was tracking him down. I stayed at the home of the Gunter family at The Rectory at North Moreton and visited the church and ate at the Bear Inn and walked the lanes and tracks there. 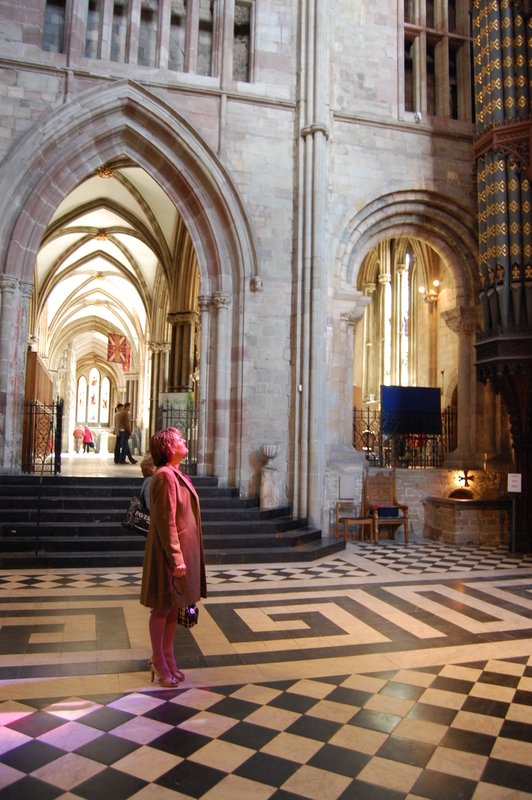 I was allowed in the Worcester Cathedral Library to go through John’s own books and walked in his footsteps in his childhood village, church and school. I can only guess what he was really like, but I have been following him for so long that he became my friend along the way and gave me glimpses of his personality. His framed picture looks at me from four rooms in this house alone and his eyes follow me everywhere. I feel so many times that his ghost is tailing me. I feel it now. I believe he approves of my personification of him, but perhaps I am delusional. I have checked and checked the facts of his life and his contemporaries, but there may be errors and for that I apologise. What I don’t apologise for, is my linking those facts together and putting my interpretation on what propelled him from one fact to another. I can’t prove that he did this or that and equally you cannot prove that he didn’t. Most of the people involved in this story actually lived and were contemporaries of his. Many of the places still exist, although they have been modernised and added to many times. His likeness can be viewed in several places and after I collected all the information together, his personality and style shone out. The bullet points of his life are available online, but that is not the same as marrying it all together. I hope I make you understand how he matured and I hope you get to like him. I have a copy of his Will and that is very interesting reading. He wrote several books and pamphlets and owned lots more. 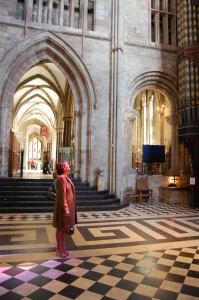 Many of his owned books are at Worcester Cathedral Library and John has written in many of them. He seemed to be trying to find his peace with God. He wrote ‘Euchologia’ for his daughters, giving them instructions on how to live a good life through prayer and join him in Heaven. His scribblings though, did give a clue to his worries about whether he would end up there. He enjoyed a lifetime of debating the Bible teachings and had been involved in the translation of the King James Bible along with his fellow worthy contemporaries. Following his involvement with the Gunters, he became tutor to Prince Henry and Prince Charles because King James valued his loyalty and knowledge. JPx continued during his long and successful involvement with Exeter College with the friendship and ear of Charles I. It was King Charles who made him Bishop of Worcester during the Civil War. The bishopric was taken from him when Worcester fell. JPx was almost a broken man once he was stripped of his roles and livings and was incredibly lucky to escape with his life. Many of his contemporaries did not. It was written somewhere following his death and then widely copied, that after his downfall, he was poverty stricken. His Will however, does not show that. He had lost much following the arrest of Charles, his livings, his positions, his titles and many of his friends. But he still managed to leave several valuable items to his family. Further checking shows that these possessions such as King Henry’s staffe, his large collection of rare books and silver plate, were sold off by his grandchildren. These have been scattered around the world. Several people mention JPx in their books and research and I shall try and list all the ones I know of in the Bibliography at the end of this book. Below is a list the facts known which I joined together for the fictional/factual tale you have already read. Perhaps you have turned directly to this page and for that I shall punish you by giving you few dramatic details. John Prideaux did walk the 170 miles from Stowford to Oxford in the clothes he kept in his closets until the end of his life, so that he could never forget his beginnings. The dates I gave are approximate, but I don’t think I can be far out. The prayer was a Prideaux prayer handed down through his family and used as a means of warding off illness, bad luck and perhaps, demons. I mention it in many of the Prideaux stories. JPx talked about the prayer regularly and taught it to his daughters in his latter years. He signed himself as John Worcester once he became Bishop. The first born son of his parent’s was called John, but he died almost immediately. It was said that the son born praying would become a great man. This child was our Bishop John. The Gunters were living in North Moreton in 1596 and John’s walk would have taken him within a couple of miles of their village. Anne was a young girl at the time. Brian Gunter was known to assault Anne, it was reported in Star Chamber records. The football match of 1598 took place and the two Gregory men were killed by Brian Gunter. The story is written in many records both parish and courts of the time. There was a great deal of ill feeling between the families. Anne Gunter had terrible fits and body movements as described throughout this story. She also constantly vomited or found pins. Her body swelled and her head turned and her ankles twisted. Not all of the fits could be put down to fakery. Elizabeth Gregory gave birth around the time of Anne’s fits and complained that Anne’s spirit was harassing her during childbirth. Once released from prison, Brian Gunter continued to live in his usual stroppy and vindictive manner until 1628 when he died in Oxford. He is buried there, he survived his wife by 11 years. She died at North Moreton and was buried in the church. There is no record of Anne either returning or contacting her family after 1606 and she is not mentioned in any wills or documents that I have found. She did tell the King that she had fallen for a servant of Bancroft named Ashley and the King agreed to give her a dowry. Anne Gunter eventually confessed all to King James during an examination. Gilbert Bradshawe suffered several assaults in the years following the trial. These attacks were from Brian and his family and included Susan Holland who became prone to violence once her husband was dead. Apparently the Gunters wanted him out of the church. Gilbert took his case to the Star Chamber in 1620. Thomas Holland, the Regius Professor of Divinity and Rector of Exeter College lived (1539 – 1612. ) was 40 years older than his wife Susan Gunter, but they managed to have 6 children. 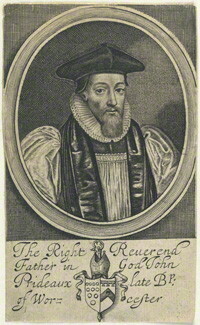 John Prideaux succeeded him as Rector upon his death and as Regius Professor in 1615. He was one of the translators of the Bible. Dr Richard Neile (1562 – 1640) was chaplain to Robert Cecil and became Dean of Westminster on 5th November 1605, the day Parliament was to reconvene. He could have been blown up had the treasonous plot been successful, but he wasn’t. He became Bishop of Rochester, Lichfield and Coventry, Lincoln, Durham and Winchester. He often sat at the Star Chamber, the Gunter trial being one of the cases. Samuel Harsnett (1561-1631) was another man with a heady career. He was chaplain to the Archbishop Bancroft. He later became Bishop of Norwich and Bishop of Chichester. At the time of this story he was a resident at Chigwell, where he later established a school and he also had the living at Shenfield. Richard Bancroft (1544 – 1610) was a great favourite of King James and became Archbishop of Canterbury in 1604 and oversaw the translation of the King James Bible. He was with Queen Elizabeth when she died, but he didn’t kill her… He was also Bishop of London. Although a Cambridge man he became Chancellor of the University of Oxford from 1608 until his death. William Laud (1573 – 1645) was John Prideaux’s nemesis for much of their parallel careers. He was a homosexual, a fact which matters not a jot these days quite rightly, but back then he needed to hide his feelings. He was chaplain to Richard Neile and became Dean of Gloucester and Bishop of St Davids. He later became Bishop of London and Archbishop of Canterbury during Charles 1 reign, but he made many enemies. Once he established a religious point of view he would force it through with little regard for other opinions. In 1640 he was accused of treason, but at his trial there were only a few who could agree a treasonable charge. Personal vendettas came into play and Laud was sentenced to death, although on no specific charge. In spite of a Royal pardon he was beheaded and died with dignity at 72 years old. Although John Prideaux had argued with him for much of his life, it seems likely that he would miss him once he was gone. William Helme was tutor to John in his early Oxford years. He was a fellow of the college until 1615 when he left to become a vicar until his death in 1639. The map of Oxford drawn by John Speed and reproduced in this book was drawn in 1605 and shows the layout of Oxford and the colleges and streets at the time of this story. Turl Street which runs along the western perimeter of Exeter College was so named as it led from the turnstile in the north wall. The turnstile also known as the ‘twirl’ or ‘twirling gate’ was to keep cows and other animals out of the city. John Prideaux assisted with the translation of The King James Bible. The story of Dr Rowland Taylor is a true one. He was one of the martyrs during Queen Mary’s reign. Miss Goodwin eventually became John’s first wife and mother of his children. He wrote about her in books and letters to his daughters near the end of his life. John Prideaux surveyed the college during his tenure and oversaw many changes. Excellent details and maps can be found here. On the NW corner of the college fronting Turl Street between the chapel and the more modern looking building on the corner with Broad Street is known as Prideaux buildings and the front is all that remains of the house he built. On either side of the wall to which parts of the college abutted, were ditches and small ponds full of black mud which often flooded into the college. Elizabeth Gregory, Mary and Anne Pepwell were the three North Moreton women accused of witchcraft. They were found innocent of bewitchment at their trial in 1604. He buried his wife and children either at St Michael at the North Gate or at Exeter College Chapel. His son Mathias was the first buried at Exeter following its foundation and the inscription reads ‘Are you trying to make out what the little child is saying? Read, you will die as did Mathias Prideaux, the Rector’s son, who was the first one to be buried in this chapel after its foundation. There were poems written about each child as he/she died young and are still available here. From his nine born children, only two daughters survived John. John Cleveland wrote a long poem about JPx upon his death. It can be read in John Cleveland’s Poems. The likeness of John Prideaux can be found online. The Bear Inn at North Moreton. The words and pictures in following books, pamphlets and links have not been copied, or quoted, but I thought it would be helpful to researchers to have an idea where to look for more information on Cornwall, Devon, the Prideaux family and the Gunter family. I have many books which may also help in research, but have not listed them all here. An Obscure Place by Louise Ryan. John Cleveland’s poem written as a Eulogy for John Prideaux. Personal papers, books and documents of A A Prideaux. The Bishop and the Witch is published by Paganus Publishing. A tale of two piers - Blackpool Central and Llandudno.